It is Pentecost Sunday and I am a bit sad. 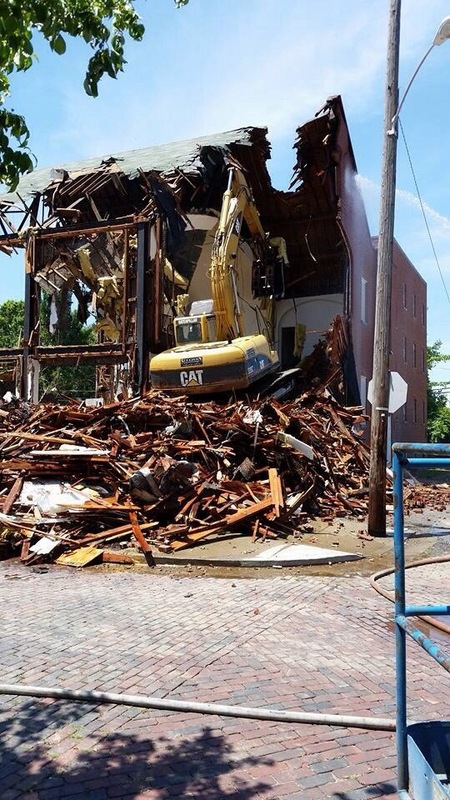 Yesterday the process of demolishing the building that was South Side United Methodist Church in Huntington West Virginia began. The building has been boarded up since 2008 when the congregation merged with two others and became Community of Grace UMC. Not that there was anything wrong in that move, as South Side was no longer sustainable as an independent congregation. Thankfully the new congregation is doing well, and many of the former members of South Side are vital members of it, including my cousin Paula who serves as the music director. She has carried on South Side’s wonderful music tradition with the new congregation. 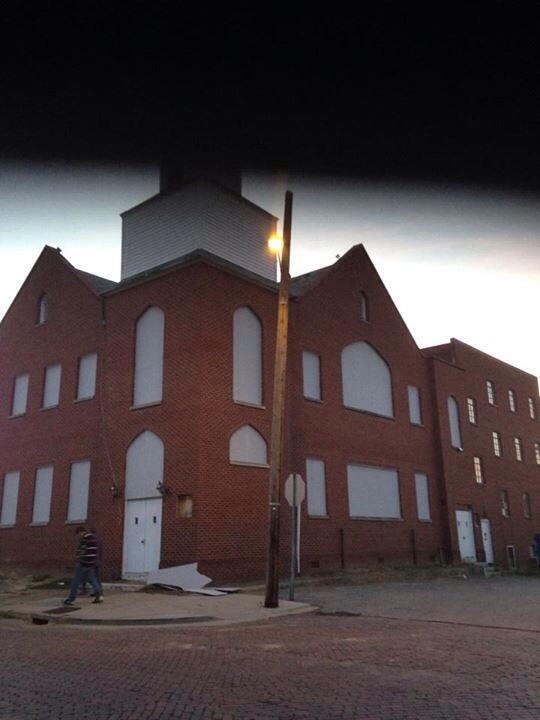 That being said for me, seeing the pictures of the building in its final days brought a sense of sadness. It was in a sense a part of my and my family’s spiritual heritage for close to 80 years. My grandparents on both sides of the family were members there dating back to the 1930s, my parents were married there and my uncle Charles who went on to become a Methodist minister had much of his spiritual formation there. My grandparents funeral services were all conducted there by Pastor Mike Chapman in the 1990s and 2001. I was baptized there in 1960 when my parents took leave and traveled home to have that done. I got my first Bibles there, a children’s KJV and then my first adult bible, a Revised Standard Version which had a section in the back that traced the history of the ancient empires that existed during the time of ancient Israel and the early Church. When I returned to West Virginia in 1995 South Side, though not of my denomination, or my wife Judy became a center of our life. We have so many memories attached to that building, which in its heyday was the home of a thriving congregation, and boasted one of the most beautiful sanctuaries in the city. The stained glass windows were amazing and thankfully I understand that they were saved. The sad thing is that so few modern church buildings provide so little in their aesthetics and design to inspire us, they are utilitarian and devoid of the touches that help draw people into the mystery that is God and faith. Those windows always gave me a sense of wonder as a child and as an adult, they provided comfort and inspiration. I am somewhat sad that so many people will be deprived of this sense of wonder as church becomes ever more detached from art and beauty. However the church was a victim of demographics. The Fairfield area it was in went down and much of the area became business or hospital oriented, and the residential neighborhood became poor and crime ridden. As the economy of the city shrank as heavy industry was outsourced, many people who went there moved to the suburbs or had to relocate completely to find work. In a sense the loss of South Side is synonymous with the decline of the city. So anyway, that is what I am feeling today. At least I am getting the chance to go to a ball game this afternoon with our. Norfolk Tides booster club, the Tidewatchers, to see the Baltimore Orioles take on the Oakland Athletics. I love both teams so it should be good. Thanks for sharing that Steve. WV is my wife’s home state and was our home together from 1982-1987 when we lived in Charles Town. Her family belonged to Williams Memorial UMC in Shenandoah Junction and Pastor Roy married us in August 1977. This past Friday night we dined at a little restaurant in Lake Forest, CA and there was a guy with an acoustic guitar singing songs from the 70s and 80s. His class rendition of John Denver’s “Take Me Home” elicited a large denomination tip from us, not only as a tribute to his talent, but a tribute to the State of WV.